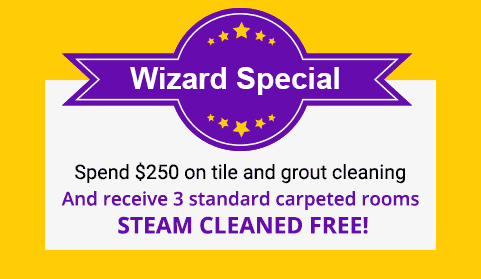 Wizard has your Office Carpet Cleaning, Floor Cleaning and Tile and Grout needs covered. 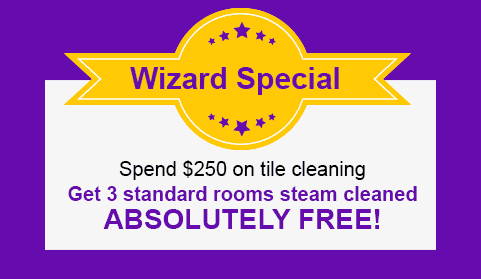 Wizard offer highly competitive prices, premium service and fantastic office cleaning discounts around Melbourne. Wizard carpet cleaning specialists will assess your office floor cleaning requirements and determine their cleaning approach, providing a no obligation quote on the spot. For a carpet clean we will use our steam cleaning or better known as “hot water extraction” method. Upon interaction with regular stains and soiling we will apply a pre-spray shampoo with active ingredients to loosen the dirt and stain, which assists in the final outcome. Why choose Wizard for your office floor cleaning needs? Wizard provides office-cleaning services in Melbourne to a wide range of clients, from small to medium sized companies. Your office is the hub of your business, and having your floors looking clean and fresh improves the appearance of your investment making it more inviting for your clients. Safe work practices includes maintaining the hygiene of your office from its ducts to floors, and looking after your staff, clients and visitors. Having your office carpets professionally steam cleaned not only prolongs the life of your carpet but will improve your indoor air quality and meet O.C.H.S. standards! Aside from our cheap carpet steam cleaning, the Wizard Cleaning team also provide rug and upholstery cleaning. For the expertise and superior quality steam cleaners Melbourne trusts, call Wizard Cleaning for all your steam cleaning needs. Contact us today for a free no obligation quote for our budget steam cleaning services or ask about our awesome carpet cleaning deals.